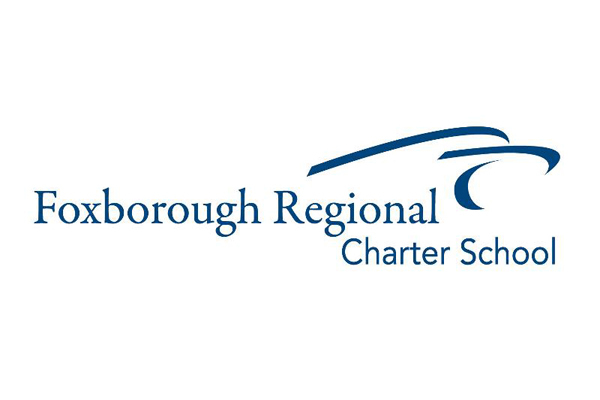 Foxborough Regional Charter School is a unique, tuition free, public K-12, college preparatory, community of learning. Our expectations of academic achievement are high, a solid commitment to serving others is valued and integrated into the daily curriculum, and leadership opportunities are woven into every corner of our foundation. FRCS challenges teachers and families to work in partnership in order to ensure that all students are prepared with college/career readiness and 21st Century skills upon graduation. The school currently enrolls up to 1,700 students from 20 neighboring communities that make up our district including Attleboro, Avon, Brockton, Canton, Easton, Foxborough, Mansfield, Medfield, Medway, Millis, Norfolk, North Attleboro, Norton, Norwood, Plainville, Sharon, Stoughton, Walpole, West Bridgewater, and Wrentham.